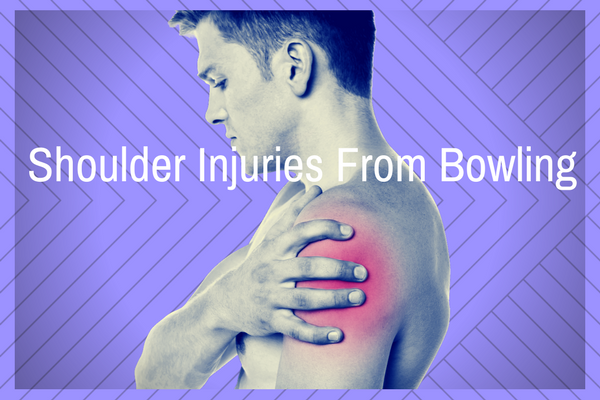 Shoulder injuries from bowling become more frequent as we get older. Bowlers feel that nagging little pain and all to often continue to bowl. They ignore the warning signs and go beyond the point when they should rest and let the shoulder heal. The arm tendons that form the rotor cuff in the upper arm and shoulder, are a common area for painful shoulder injuries from bowling too much. We use the arm and shoulders on each and every throw in bowling, and this over time results in wear and tear on the ligaments and tendons in our shoulders. Our backs, knees and hips are also submitted to quite a bit of strain as well, when we bowl. However, no other joint in our bodies has the range of motion the shoulder is capable of. This remarkable range of motion comes with a price. The mobility of the shoulder joint makes it the most vulnerable to injury. The demands of movements we go through each day at work reaching and moving objects, driving, eating, and just living our lives stress shoulder joints.When you consider all that movement, you begin to realize how important and wonderful our shoulder joints are. It is no wonder at all why shoulder problems develop. Tendinitis can develop over time and suddenly flare up from overuse. One type of shoulder pain that sometimes develops, is called rotator cuff tendonitis. More times than not when it happens in the shoulder, it is rotator cuff tendonitis. A problem caused by too much strain on the shoulder. It can also happen when we bowl too quickly or throw the ball with extreme force, and then cause a more severe tearing of a muscle or tendon. However, sometime it could also be impingement syndrome. This type of condition could be caused by previous surgeries, medications, disease, bone spurs, even accidents. The cause is sometimes not known, but the shoulder socket is not doing its job correctly. And overuse, can cause the joint to inflame. This normally occurs in people 44-65+ age groups. Always check with your doctor and have tests done to determine exactly what your particular problem may be. Sometimes a tear develops in a muscle or tendon for no apparent reason. For example, my doctor told me I had a recent partially torn bicep which had healed and left scar tissue as evidence.I do remember one certain day, while I was bowling, I felt a sharp pain in my arm.It was similar to a bad cramp in my arm, but only lasted a brief second or two.I didn’t think I had done anything differently. It was not a pleasant feeling, it really hurt. Maybe, that’s when the bicep tear happened? My arm was painful when I tried to lift or stretch above my head. Something was wrong, but what? I wasn’t sure what had happened, and my arm clearly wasn’t getting better. Not wanting to let my team down, continued to bowl. Maybe I made matters worse. Regardless, I knew I needed to do something about it. So, I spoke to my doctor. If you are over thirty, it is common to have developed some rotator cuff tendonitis symptoms. That pain that is felt in the upper part of the arm and top of the shoulder, could be shoulder tendonitis. The muscle or tendon in the shoulder as well as the specific tendons in the rotator cuff group becomes swollen or irritated as well. The injury can be a result of and accidental landing on an outstretched arm, that also causes some tearing of the shoulder muscles and tendons. This type of injury happens all at once. It can also be caused over a period of time by repetitive motions in sports like baseball pitching or bowling. This not only causes pain, but also results in a noticeable weakness in the arm. My arm got so weak I couldn’t even do one push-up. All my life, the one exercise that was fairly easy for me was push-ups. Now, I couldn’t even do one. It was clear I had overdone it by bowling too many games without enough rest in between. Not to mention I also had an old injury from a motorcycle accident where I landed on my outstretched arm. The result was a very weak and very sore shoulder. I had overused the muscles and caused rotator cuff tendonitis. And of course had a bicep tear as well. Normally it is a fairly easy injury to treat. Ice is the first thing to do, and stop bowling and using the arm for awhile. But, I made the mistake of continuing to bowl. I learned a hard lesson. Now, I am also learning how to heal shoulder injury. Bowlers who may have been idle for some time, such as summertime hiatus from bowling, then return to the lanes can overdo it. Those muscles that were in shape last season, got smaller and weaker, and now they can’t perform as well. And we expect to pick up the ball and bowl the same number of games.If you are getting older like me, it becomes necessary to be a bit more kind with your body. The best thing to do is take it slow and bowl one or two games at first. Allow yourself a day or two rest, then try again. This is important! As we age, we take longer to heal. Keep this in mind when you are getting prepared to start up league play again. Always be sure to warm up first, by doing a few exercises to get your shoulder loose.An excellent program for stretching was developed by the Stretching Institute, that teaches you to stretch without injuries. If you notice any changes in the feel of your ball, have it checked by the local pro shop to insure the fitting is still correct. You may have lost or gained weight, or just lost some body mass due to simply aging. This could be an indicator, that you need to go a bit slower, and maybe bowl fewer games at first. Why do we notice too late? We always seem to brush off the small pain we feel, and it gets worse and worse. The shoulder is a vulnerable spot for several reasons. We use it a lot, and it does some amazing things for use that we take for granted. The shoulder can throw a baseball overhand, or roll a bowling ball underhanded. We can move the arm directly across our chest or reach behind our backs to scratch. This large range of motion, also makes the shoulder an easy target for injury. As we age, common wear and tear can cause problems for men and women, and affect pro bowlers as well. Women pro bowler Lynda Barnes, is one of the worlds leading ten pin bowlers. She suffered with shoulder injuries from bowling too much. When you are a Pro bowler it goes with the territory Here is Lynda Barnes describing her experience with shoulder injuries from bowling. My sore shoulder pain got so bad, it was keeping me awake at night. I knew it was time to find out what the problem was, and how to fix it. I know several people my age who had surgery done already to repair their rotator cuff injury. After talking with them I felt sure surgery was the only option. It turns out I was wrong. Since I felt surgery was surely required, I decided to speak to a surgeon first. Also because I am older, and I knew the window was closing for having surgery done at all. We tend to heal slower when we are older, and some surgeons will not perform rotator cuff surgery on patients over 70. I wanted to know what my options were, and if surgery was required. My own research about rotator cuff injuries gave me reason to believe that I was having similar issues. I felt that a surgeon might be the best option for me. My family doctor was the first stop, and after explaining my pain, I asked or a referral to a shoulder surgeon. Within a few days, I was speaking to a surgeon and having diagnostic tests done to determine my problem. After a full series of x-rays, my joints appeared healthy and within normal limits for someone of my age. However, ultrasound revealed an older bicep injury. After some lengthy discussion, The surgeon did feel I also had the classic symptoms of some possible rotator cuff wear and tear damage. It was possible I was also dealing with some shoulder impingement. I received several cortisone shots to relieve my immediate pain. Rehab therapy was scheduled in an effort to try to resolve my issues without surgery. My surgeon gave me the instructions, that if therapy went well enough he would not have to see me again. However, if therapy did not seem to help, he would order an MRI and schedule surgery. So rehab therapy began. I went through several weeks of pendulum resistance and range of motion exercises, along with daily strength training and endurance exercises. I noticed my range of motion improved and the pain I felt at night was no longer keeping me awake at night. It is also a fact that we naturally do not have very good blood supply to the tendons in the rotator cuff area. That means that healing an injury to the shoulder takes a long time to show good results. After about a month of daily therapy,I felt that I had improved to the point that I could do the final rehab at home. I also explained that I felt daily training was not allowing the shoulder time to heal. So, after discussion with my rehab specialist, he felt maybe I could try a day of rest between workouts. 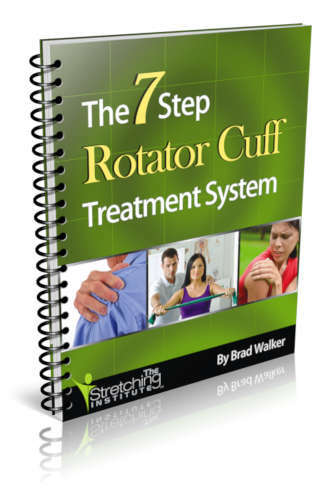 As I worked on my rehab at home, I also did more research on rotator cuff surgery and different treatment methods. I found techniques that used a more gentle and slower approach worked better overall.One system I found , developed by Brad Walker, I liked so much I had to tell others about it. His system is a slower approach allowing your body to heal properly and gain lasting results. I have avoided surgery and the cost is very affordable, and worth much more. Brad give you a full 90 day money-back no questions asked guarantee. His system worked quite well for me and allowed me to avoid surgery almost two years later. I still have very little discomfort and get nice restful sleep. People I have talked to who have had the rotator cuff surgery still have a lot of discomfort years later. So, I am glad I tried Brads system and I think you will too! Brads system used heat and massage before and after stretching, and allowed one to two days before continuing my stretches and exercises. I also reduced the tension and repetitions compared to my rehab exercises, choosing to go slower, with less resistance. Patience and giving my body a chance to heal itself, was paying off. I started to feel like I was finally beginning to heal. And by going slow, adding heat to improve the blood flow, I would likely heal as well as or better than if I opted for surgery. People who have undergone the surgery, have reported the rehab afterwards is not a pleasant experience they would want to repeat. Since my surgeon was in agreement that I could improve on my own, I felt assured I was not doing any further harm in any way. So be sure to check with your doctor before you decide your own course of action. What is right for me, may not be right for you. But if you are told to start rehab, and you don’t feel you are getting better, try Brads system! What I experienced from the heat and massage is is pain relief. I can now sleep at night pain free. Using this technique has reduced daytime pain levels to a simple soreness from working muscles in the exercises The strength in my arm and shoulder is returning. The use of heat and massage therapy, not only heals, but also reduces scar tissue formed in the healing process. You muscles heal and feel more natural. It has made a big difference and help me to heal better, and feel better without intensive therapy done too soon. The hardest part is being patient with a slow but very effective treatment, that is much easier to tolerate as well. Less resistance at first, and gradually increase repetitions before increasing weights and resistance. It is not an instant fix. You will learn how the process takes time, and gently heals your body. If you have a sore arm and you wish to try an alternative to surgery, I strongly recommend this approach, after you speak with your doctor first!. It is nothing short of a wonderful relief from pain and lets you avoid surgery. If you have a large tub, soaking in an old time remedy, Epsom Salts, will bring some welcome relief as well. And don’t forget to give your sore arm or shoulder a massage afterwards. If you happen to try Brads 7 step method, drop me a line and let me know how it worked for you. But remember, I am only suggesting other possibilities, not self treatment. Always talk to you doctor first! Good article. I’m a bowling fanatic. I’m pushing 50. I use a 14lb ball, and I’ve been noticing i’m getting shoulder pain. Bad enough to affect my ability to lift at the end of my throw. I may have to re strategize my whole deployment and back off on power throws. I’m on 2 leagues, sunday and wednesday. I’m going to have to drop one and possibly drop to a 13lb ball. I need all the healing help I can get. I am glad you liked the article, and left a comment, thank you! You may have to go to a lighter ball, and quit one league. You will notice the lighter ball will likely not carry as well because the block is smaller in the 13lb balls.For that reason ,I will stick to 14lb as long as I can. You have to speak to a doctor/specialist and get some x-rays, ultrasound done and determine what is going on. It could be overuse, or maybe more,like a torn bicep or rotator cuff injury.Once you determine exactly what is going on, then you can plan you treatment. I can tell you this, don’t let them talk you into constant daily therapy. They did that to me and it didn’t heal. I had to tell them I need a few days in between sessions, then I began to heal up! My goal was to avoid surgery because it is becoming questionable as a solution.My problem was a torn bicep with possible rotator cuff issues.Tthat is common as we age. You are getting close to my age, and as we get older we need a day or two between sessions to heal up! Insurance companies and doctors/surgeons who own rehab businesses want to overdo the therapy. Go slow..it takes longer to heal shoulders because of the poor circulation to that area. Plenty of heat and massage helps a lot. I can really identify with “bowler’s shoulder” because, at one time, I was bowling while wearing a shoulder brace to keep from unduly aggravating my tendinitis. Also plaguing me was carpal tunnel in my wrist. I was throwing an offset, full-fingertip 16 pound ball and keeping my wrist locked into position took its toll. I finally had to cut down to bowling only a handful of games per day. It was tough since I was used to bowling between 15 and 20 games every day! Hi Jim, Glad you liked the article. I was going through it, so I though others might be helped by what I experienced. When we are young it is not so apparent as when we get older. Thanks for taking the time to leave a comment! Hi chas how are you ,I have just read your article and I thought it was fantastic. First of let me say I love to go bowling granted am not at a high level but it really is fun, it never occurred to me how it could effect the body and cause stress on the joints and other parts of the body down the line, but now I know and I can spread the message thank you for the information. I am glad you enjoyed the article. Bowling is fun, but we can’t overdo it. Younger players will get some soreness, but older players can do some damage if they are not careful. Be careful, listen to your body and give it a chance to heal itself. If you get sore take it easy for a while. Thanks for stopping by and taking the time to comment.